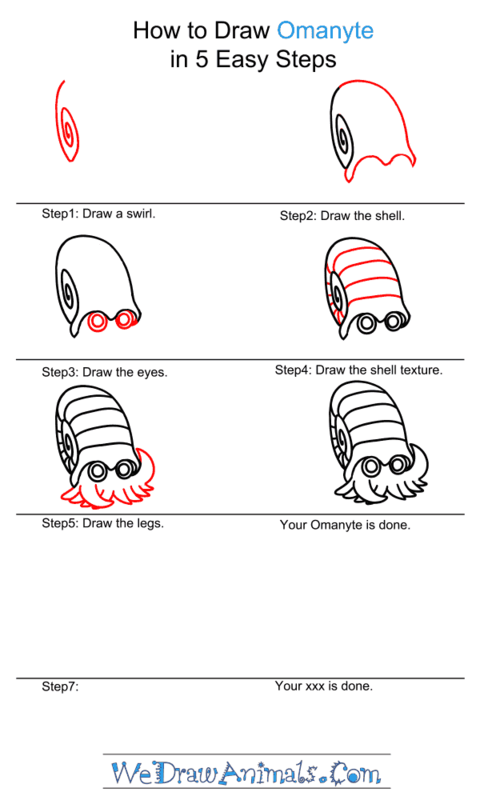 In this quick tutorial you'll learn how to draw Omanyte in 5 easy steps - great for kids and novice artists. 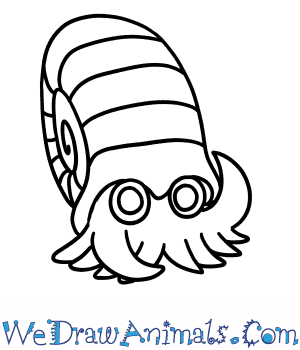 At the bottom you can read some interesting facts about the Omanyte. 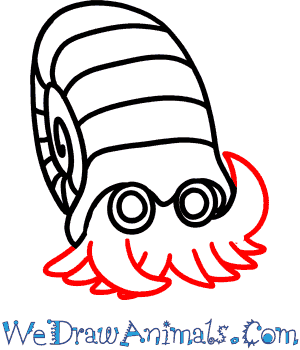 Omanyte is a water-type Pokémon resembling the prehistoric sea creature, the ammonite. 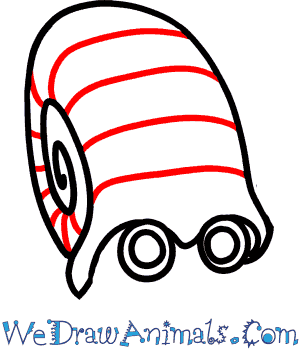 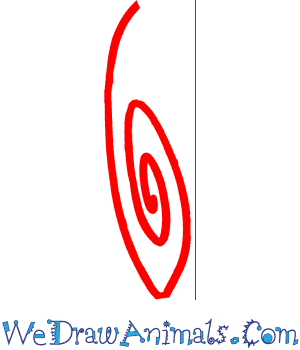 It lives in a spiral shell which it carries on its back and hides inside when feeling threatened. 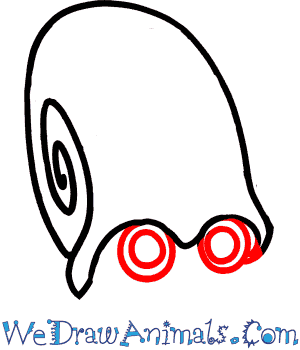 It feeds on plankton and scurries around the seabed and in the reefs. 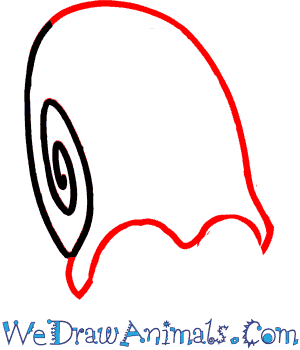 It has a pair of large, protruding eyes which help it to see oncoming danger from a far.